Broccoli is an edible green plant with a large flowering head that is used as a vegetable. It is in the same species as kale, collard greens, cauliflower, cabbage, Brussels sprouts, and kohlrabi. Broccoli is an edible green plant with a large flowering head that is used as a vegetable. It is in the same species as kale, collard greens, cauliflower, cabbage, Brussels sprouts, and kohlrabi. It has a very similar look to another vegetable, known as cauliflower. Broccoli has large flower heads, is usually green in color, and set in a tree-like arrangement of branches sprouting from a thick, edible stalk. This popular vegetable has many significant health benefits. In terms of the nutrients in broccoli, the dietary fiber in broccoli could help improve an individual’s digestive health by preventing constipation. Fiber promotes the removal of potentially harmful biological waste products. The high fiber content in broccoli can help individuals maintain healthy blood sugar levels, especially for individuals with diabetes. The National Health and Nutrition Examination Survey proposes that eating broccoli may be associated with a better diet quality, reduced intake of added sugars, and lowered body weight and body mass index (BMI). It has been said that broccoli may decrease the risk of diabetes, stroke, and coronary artery disease because broccoli can help improve blood sugar levels and decrease the amount of bad cholesterol in the body. Broccoli consumption is linked with a reduced risk of metabolic syndrome, which is a combination of conditions. These may include the following: Abdominal (central) obesity, elevated blood pressure, elevated fasting plasma glucose, high serum triglycerides, and low high-density cholesterol (“good cholesterol”) levels. Another health benefit of broccoli is that it supplies a rich amount of folate, which is a key mineral that protects the heart and brain from harmful diseases. Folate decreases the levels of an amino acid called homocysteine in the blood. Elevated levels of homocysteine are not only dangerous to the brain, but also a risk factor for a heart attack, stroke, or peripheral vascular disease. The University of Maryland Medical Center informs that a deficient amount of dietary folate can increase the homocysteine levels, which have been linked to brain diseases like Alzheimer’s disease and Parkinson’s disease. A British study has suggested that broccoli may help fight osteoarthritis through a compound called sulforaphane. Sulforaphane can decrease inflammation by blocking cartilage-destroying enzymes. The mere application of a sunblock may not be sufficient to prevent skin cancer. However, if you apply broccoli to the skin, it may help fight skin cancer. In addition, eating broccoli regularly may help in preventing bladder cancer. According to a study published in Molecular Nutrition & Food Research, eating broccoli three times a month could potentially reduce the risk of developing bladder cancer by up to 40%. Eating raw broccoli instead of cooked broccoli may help in preserving its nutritional value. Also, using more water to cook broccoli could cause more water-soluble vitamins to be lost, hindering broccoli nutrition. Abbaoui, B., Riedl, K. M., Ralston, R. A., Thomas‐Ahner, J. M., Schwartz, S. J., Clinton, S. K., & Mortazavi, A. (2012). Inhibition of bladder cancer by broccoli isothiocyanates sulforaphane and erucin: characterization, metabolism, and interconversion. Molecular nutrition & food research, 56(11), 1675-1687. Anderson, J. W., Smith, B. M., & Gustafson, N. J. (1994). Health benefits and practical aspects of high-fiber diets. The American journal of clinical nutrition,59(5), 1242S-1247S. Ambrosone, C. B., McCann, S. E., Freudenheim, J. L., Marshall, J. R., Zhang, Y., & Shields, P. G. (2004). Breast cancer risk in premenopausal women is inversely associated with consumption of broccoli, a source of isothiocyanates, but is not modified by GST genotype. The Journal of nutrition, 134(5), 1134-1138. Davidson, R. K., Jupp, O., Ferrars, R., Kay, C. D., Culley, K. L., Norton, R., ... & Clark, I. M. (2013). Sulforaphane Represses Matrix‐Degrading Proteases and Protects Cartilage From Destruction In Vitro and In Vivo. Arthritis & Rheumatism, 65(12), 3130-3140. Dinkova-Kostova, A. T., Jenkins, S. N., Fahey, J. W., Ye, L., Wehage, S. L., Liby, K. T., ... & Talalay, P. (2006). Protection against UV-light-induced skin carcinogenesis in SKH-1 high-risk mice by sulforaphane-containing broccoli sprout extracts. Cancer letters, 240(2), 243-252. Morris, M. S. (2003). Homocysteine and Alzheimer's disease. The Lancet Neurology, 2(7), 425-428. Vallejo, F., Tomás-Barberán, F., & García-Viguera, C. (2003). Health-promoting compounds in broccoli as influenced by refrigerated transport and retail sale period. Journal of agricultural and food chemistry, 51(10), 3029-3034. Vasanthi, H. R., Mukherjee, S., & Das, D. K. (2009). Potential health benefits of broccoli-a chemico-biological overview. Mini reviews in medicinal chemistry, 9(6), 749-759. Latté, K. P., Appel, K. E., & Lampen, A. (2011). Health benefits and possible risks of broccoli–an overview. Food and Chemical Toxicology, 49(12), 3287-3309. Guo, R., Yuan, G., & Wang, Q. (2011). Effect of sucrose and mannitol on the accumulation of health-promoting compounds and the activity of metabolic enzymes in broccoli sprouts. Scientia Horticulturae, 128(3), 159-165. Mahn, A., & Reyes, A. (2012). 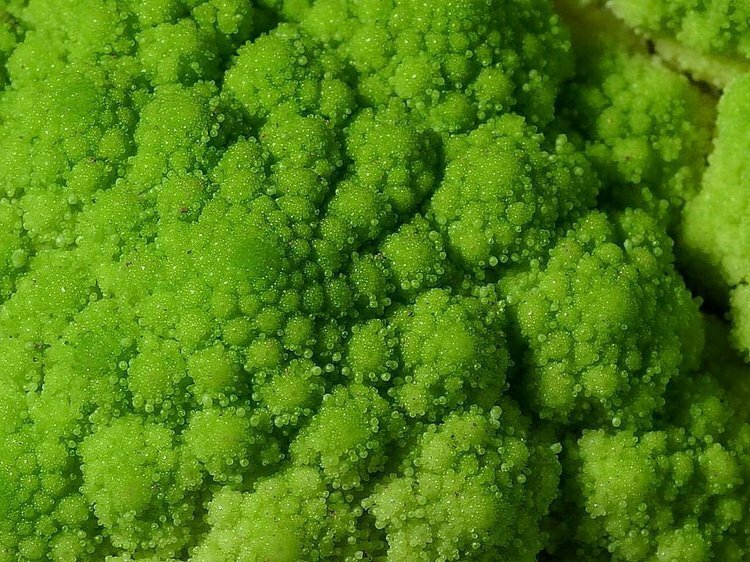 An overview of health-promoting compounds of broccoli (Brassica oleracea var. italica) and the effect of processing. Food Science and Technology International, 18(6), 503-514.